The Bride-to-Be will feel extra special with our sophisticated 'Bride To Be' hen party sash. Make the bride centre of attention and instantly recognisable as you celebrate away. The bridal themed gold foiling on a white background will look stunning with the brides outfit. 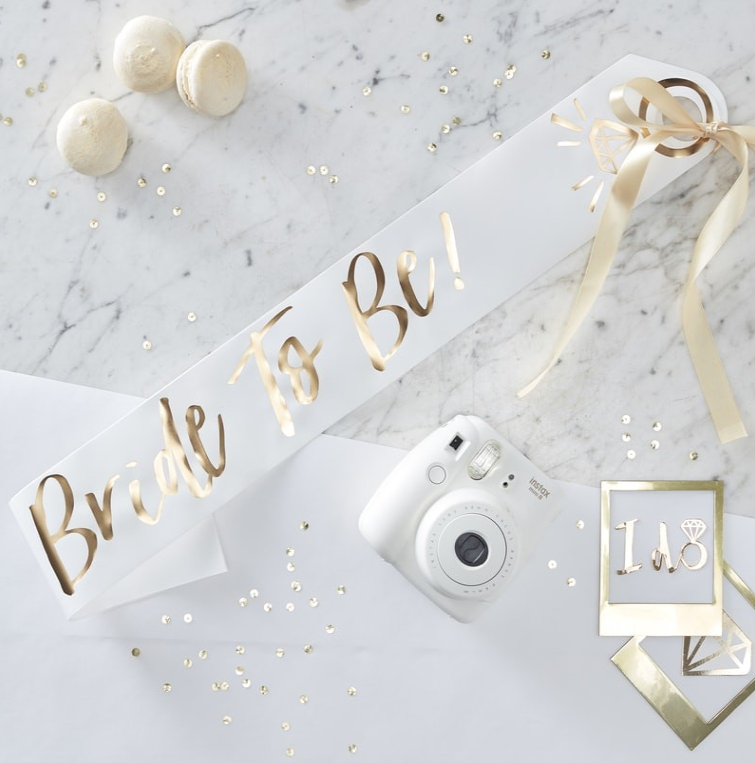 The paper sash is sophisticated and trendy - with a gold ribbon that threads through to tie up. The bride will never want to take it off! One size fits all. Each pack contains 1 sash measuring 75cm (L) when being worn and 10cm (W).